If you find driving in the cities is boring and really want to find somewhere relaxing and more exciting, then, these roads are the right spots for you to take a slow drive with calm and quiet atmosphere, yet they are the most dangerous roads that will turn your knuckles white. Here are the 11 most dangerous roads in the world that you might want to try! Zojila is a very narrow road which located on the Indian National Highway in the western part of the Himalayan mountain range. It is 9 kilometer-long road which connected Ladakh and Kashmir. It is often closed during winter, though. This road stretches 90 kilometers between the highest peaks in the country, Moldoveanu and Negoiu. It is the tallest road in Romania which reaches 2034-meter height. It’s also famous for its beautiful sights and mountains around it, yet it’s also very dangerous, so you have to be careful while driving! 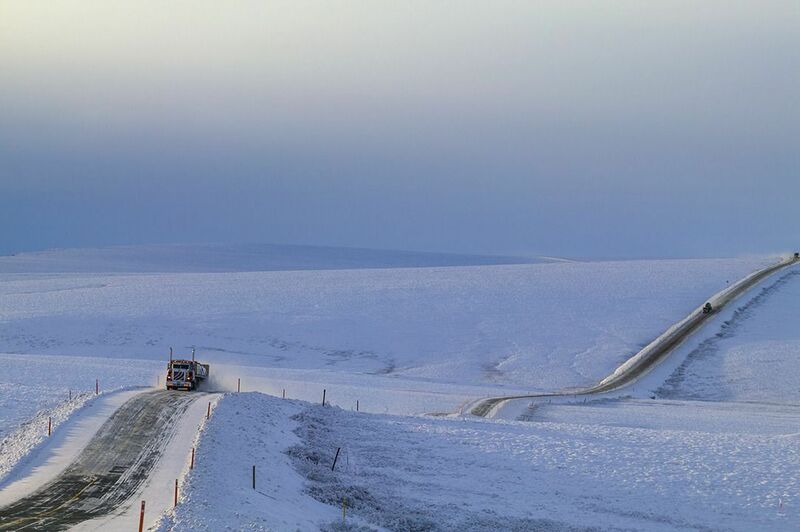 Dalton Highway is one of the most isolated roads in the United States. It is 414-mile (666km) road in Alaska, and there are only three towns along this road. This road is covered by snow all the way long. This is one of the world’s most dangerous roads which killed approximately 200-300 people every year due to its steep mountains and cross markings on many of the spots where vehicles have fallen. That’s scary to drive! This Atlantic Road is 8.3 kilometers (5.2 miles) connected between the villages of Kårvågon Averøy and Vevang in Eida. This road is preserved as a cultural heritage site and classified as a National Tourist Route. The Guoliang Tunnel was built by the villagers in order to communicate with the outside world. This road is carved along the side of a mountain in China which connects the village of Guoliang to the outside through the Taihang Mountains. This road has 99 turns with 10-kilometer (6.8 miles) long. It looks like a big snake crawling up and down the mountain. Once you drive your car, you must keep your eyes carefully to this zigzagged road. This road is 112-kilometer long which connects Kahului and Hana on the Hawaiian island Maui. This small road is covered with forest and is closed due to the landslides. This 8,907-feet road is a high mountain pass in the French Alps near Italian border. This is a zigzagged road with many unexpected turns. The Gotthard Pass is a mountain pass in the Alps, connecting northern to southern Switzerland. It is one of the tallest mountain passes in the Alps with spectacular views for passengers who travel along this road. By looking at this picture, you can see that this road is so narrow which was built by the side of the mountain up and down. It connects Sochi and the Ritsa Lake through the mountain. It looks scaring, but it has nice view, though.